There are few if any adequate guides to the properties, processing, and applications of thermoplastic elastomers, in spite the skyrocketing rise in the use of these materials. Until now. 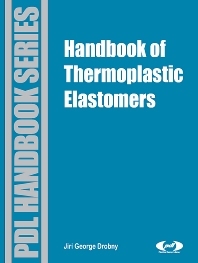 This new book sets the standard for a reference on these materials by compiling in one comprehensive volume an applicable knowledge of the chemistry, processing, and all properties, and uses of thermoplastic elastomers. Copiously illustrated and full of applicable processing and engineering data, this is the very definition of a ""definitive"" user's guide. The book is a versatile reference that serves the needs of engineers, scientists, designers, buyers, processors and all who have to work with thermoplastic elastomers, including students.